While I was away, Diana Harper and those in her network have found valuable ways to bring the film to even more people. You can now rent or buy the film on Amazon in the US, UK, Germany, and Japan. If you are in one of those countries, go ahead and search Amazon for it. It’s pretty neat that it is there. It is available free on Kanopy digital streaming. Kanopy provides over 26,000 films, FREE, to students and faculty (meaning Sensitive can be shown to an entire class) at over 4,000 colleges and universities worldwide. The university library pays for this great service. Tell any students or faculty you know, and if a school does not have Kanopy yet, there is a way on the Kanopy website to request it.Remember the film has subtitles in Spanish, Japanese, Portuguese (Brazil), Dutch, Danish, Swedish, French, and German. But most people at universities understand some English or are learning, so it is perfect for improving one’s English as well. 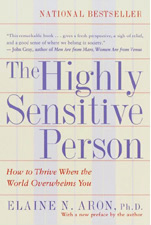 Sensitive is now available digitally in almost all public libraries in the US and Canada. Check out your own library. It probably has it. The Finnish public television station will be showing Sensitive Thursday April 20, 9pm, on channel Yle Teema and Sunday April 23,1:35pm. And of course it is still available on VHX. On DVD through the HSPerson.com Store. WHEREVER YOU CAN, SUCH AS AMAZON AND KANOPY, WRITE A REVIEW IF YOU FEEL MOVED TO DO SO. THESE REALLY HELP PEOPLE DECIDE IF THEY WANT TO SEE IT. Will and Diana are wrapping up the filming, and are extremely happy with the footage they have collected. We all feel that Sensitive and in Love will benefit so many people, not only HSPs but non-HSPs, too (some of whom are contributors because they know non-HSPs especially need this film). Abundant research has found that a satisfying relationship with another human being is most important for overall happiness and even more important for longevity than factors like smoking and obesity. And understanding a partner’s temperament is key. As for fundraising, when the amount asked for was not reached by the Kickstarter deadline, we switched to simply taking donations here on our website, using “rewards” that are valuable yet cost us very little to supply or mail. (The rewards were a considerable expense with Kickstarter.) All who donate become members of SAILS—the Sensitive and in Love Society. The benefits? For even a donation of just $10, you receive monthly video updates that include bits about research or practical info about HSPs in relationships, plus free access to the 24-hour livestream of the film (ONLY 24 hours) that we plan upon its completion. With larger donations, more rewards. Having access to the live streamed film even for just 24 hours will be a big deal, as the release may be delayed for perhaps 18 months because Will and Diana will probably take this film to film festivals, where distributors come and pick films for their networks and theater chains. We released Sensitive quickly, without taking it to the festivals, because there was such demand for it. But when the public already has access to a film, it is more difficult to distribute to commercial networks. However, for just $25.00 you will own a digital copy of the film (not the DVD) upon its completion and be able to watch it anytime (but you must promise not to pass it on). The fact is, if everyone reading this newsletter donates $10 (if you have not already), that would help a great deal, and more would help even more. We all are impacted by couples having better relationships: Families and children are happier, which makes happier workplaces, schools, neighborhoods, and countries. As HSPs, we’ve all been affected by overhearing family fights that became abusive and scary. They affect young children especially, sometimes for a lifetime. As a therapist, I know that prevention is better than therapy for a trauma. I once heard a couples’ yelling match outside my front door. The young parents were screaming at each other while holding their hysterical one-year-old. I took the sobbing baby and walked off, knowing the trauma this could create. The parents hardly noticed. When I did deliver the baby back, I gave them a firm lecture about not fighting in front of a child. But what if they were fighting about something affected by one of them being sensitive? About 42% of the odds of divorcing are related to one’s inherited personality! Most of that is probably due to partners not understanding what can and cannot be changed in each other. You can do something quite real to reduce the divorce and the screaming in your world! You can read more and donate here, and remember, donations are tax deductible in the U.S. Anyhow, I’m sorry for the babbling comment. I’m just so relieved to see this in motion. I’ve thought I was on the brink of insanity. I’m pretty sure that my loved ones already believe me to be there. So, thank you! Ohmygoodness, thank you. I’m not so odd. You are like another me in this world, I feel almost the same with you when I first read Elaine’s book about HSP, relieved, felt like being saved, thank goodness I’m not odd. Just want you to know. Thank you! Your books have helped me with relationships, and reading the HSP in Live had so much additional info beyond the first book! ❤ Most of all, you’ve helped me learn about my body’s sensitivity to clothes. I lecture and teach workshops about mending clothing. I often share my story about finding your book, and how empowering it was in helping me take pride in my mending. Thank you. That was a moving story about taking the baby away from the young parents when they were fighting. I find it rather distressing when I see similar fights between people. I hope the film is very educational for so many people. Welcome back Elaine! It is so wonderful to read your words again and find out all the updates! I hope you had a terrific sabbatical and I look forward to reading more about your travels as you realize the effect it has had on your life. Thank you so much for having such an amazing influence on my life. I appreciate the reminders to look out for children since they quite often can not speak for themselves in the heat of a negative episode. Thank you is not enough!!! One books=so many lives. You deserve so much for what you have shared/researched/taught. The world is a better place because of you. Where is the link to donate? I’d like to donate $25 but can’t find where to do so. Your books are fantastic, as was the first movie. Looking forward to the second! Hi Jaxx and thank you! I hope this helps, and let us know if you have any further questions. It’s great to see Elaine come back. Love the book HSP. However, there seems to have been an end to the Honeymoon phase of becoming aware of being an HSP, as months later I am trying to rekindle the self-acceptance. Watching a devastatingly sad movie, ‘Manchester By The Sea’ by myself yesterday, cloudy skies and cold weather for the 100th day (in Iowa), and failure of Hormone Therapy has me teetering on the edge now 2 days in a row. Oh please! Where do I turn? Thank you for this book. It really resonated with me and I have found that I can reframe my life. Reading through it, I find myself wondering about certain topics from this new perspective and was wondering if there’s any way for me to reach out to you for a conversation. Thank you sooo much!! You probably saved my life! 2,5 years ago I found out about the HSP. It was a painful awareness, but I’m deeply grateful for it. I wished I would have known when I was a teenager, I’m sure my life would have turned out different. I really hope you can help more people in this world to understand themselves. As so many others have also said, THANK YOU for your books and helping to raise awareness about HSP. I discovered your books in 2004, and they really helped me realize that my thoughts and feelings had a name and that I was not alone. Hello, I am wondering if you have done research on Traumatic brain injury and HSP as to whether or not they are related. Also, what are your thoughts on PTSD and HSP, do you think there is a connection? 1 month and a half ago I started to read your book The HSP, it really relieves me and for the first time in my life, i felt being saved. Suicidal tendency used to bother me a lot from middle school, reached to the top in high school, and still casts a shadow over me afterwards. 3 years ago, I chose a devastating “relationship” for myself, ended up very soon, isn’t my case classic? I had been a good student, great daughter, cool friend, romantic lover, devoted “professional“, I had spent a lot of time on pretending to be what people want because the real me can not fit in anywhere and usually will not be accepted. The most pathetic thing is: it worked. There was a long time that I had been desperate, i wondered “why me?” at first, and then i didn’t even bother any more, I gave up. It’s good to know you and your research, I would like to do something here in China so the HSPs can be known better, most importantly, at least they deserve to know that they have other choices. I donated $75 to the first movie and have yet to see it. Definitely will not spend more money to do so. I was disillusioned when I realized that Alanis Morrisette was featured rather than ordinary HSPs and was turned-off by the previews and interviews for the film. I used to read this blog frequently but now just feel silly for ever investing in the documentary. 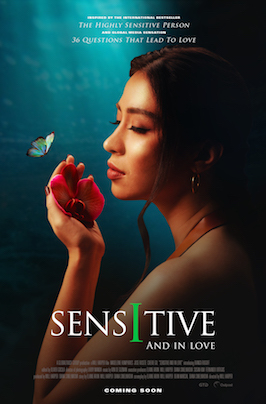 First of all, thank you for supporting Sensitive-The Untold Story. Your donation, along with donations of hundreds of other Kickstarter supporters, helped produce this important film. We just checked our records and made sure that your gift you selected (The Highly Sensitive Person book signed by Dr. Elaine Aron) was shipped in November 2015 to the address you provided. We are sorry to hear that you feel disillusioned about the movie and hope your opinion changes when you actually see the film. The film showcases over 30 people and tells individual stories of HSPs from all over the world. Sensitive-The Untold Story has positively impacted the lives of thousands of people and continues to do so. Thank you again for your support and please let us know if there is anything we can do for you. I love, love it!! Thank you so much. I’m a fan for life. beyond description. PS I spent time in India recently searching for assistance and had incredible results with the Ayur Vedic system. If you are interested in my experience there you are most welcom to contact me. Hi, as a HSP myself I’ve had a life of confusion and Illness, Chemical Sensitivities, muscular tension, and digestive issues. I started my own home business and I teach Yoga at the community center. I have many like minded people who come to my class with HSP, PTSD, and many issues and after viewing the movie I thought it would be great to buy it and show it to my classes but I can’t part with a full days pay to purchase it $55.95 is just out of my range right now. If anyone could direct me to a more affordable solution I would be greatly appreciative. I am 67 years old and just finding your book now. What a revelation it has been for me and my friends who are also HSP!!! It really has changed our lives, made us feel more ‘normal’ (whatever that is!!!) and more ready to adjust my lifestyle to keep myself happy and healthy. If only so many of us had had access to all of this great information earlier in our lives. I am going to ask my husband to watch the documentary with me. He is very understanding, but this will really help him to ‘get’ why I am like I am. I can’t thank you enough for sharing all of this research and your thoughts. Thanks for sharing your thoughts. All comments are moderated before posting, so please be patient. The purpose of these comments is to share your experiences and support each other as HSPs. Elaine is busy these days with her research and writing, and usually doesn’t have time to reply, but she invites and appreciates all of your thoughts, feedback, support, and conversation. If you disagree, please be respectful. Avoid harsh language or negative assumptions about motivations or character. Focus on facts, ideas and - most of all - compassion. If you have other correspondence, please use the links under the "How to Reach Us" tab. Some HTML tags allowed: <strong>, <em>, <del>, etc. This page is currently under maintenance, and we hope to be back soon! The quarterly Comfort Zone ended in 2014, partly to give Elaine more time to write, but also because a blog seemed more up-to-date and flexible, allowing her to write new posts based on the interests of readers. If you've signed up for her list, you will be notified when she has posted anything new. Comments: While she will not answer every comment, she will read them all and, again, may be inspired by some comments to write another blog post. You will also receive emails of any important announcement rather than these showing up only in the quarterly issue. Old Comfort Zones: The many emailed Comfort Zones are still very timely. To make full use of the extensive Comfort Zone archives, the Comfort Zone section has a Google search that will find old Comfort Zone issues as well as topics in the blog posts.